QR codes have become quite pervasive over the last few years and have been used in many ways to help consumers connect to an application, event, marketing program, sweepstakes and many other interactive ways. 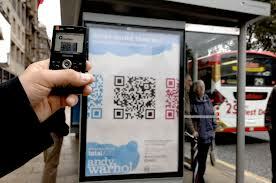 So what is a QR code and when did this begin you ask? From the contributing editors at Wikipedia, www.wikipedia.org, QR codes have actually been around for almost 30 years. 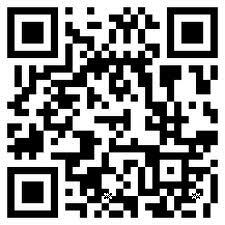 A QR code (abbreviated from Quick Response Code) is the trademark for a type of matrix barcode (or two-dimensional code) first designed for the automotive industry. More recently, the system has become popular outside the industry due to its fast readability and large storage capacity compared to standard UPC barcodes. The code consists of black modules (square dots) arranged in a square pattern on a white background. The information encoded can be made up of four standardized kinds (“modes”) of data (numeric, alphanumeric, byte/binary, Kanji), or through supported extensions, virtually any kind of data. It was invented in Japan by the Toyota subsidiary Denso Wave in 1994 to track vehicles during the manufacturing process. You know what they look like, but here are some ways they are being used! 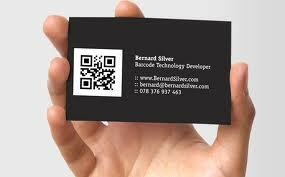 Today QR codes are used for much more than their original purpose in the vehicle industry. They are used all over the world in retail, entertainment, and a variety of other commercial markets. With smartphone technology, QR codes can be easily placed on products to allow a potential customer to learn additional information in order to make a purchase. A picture of the QR code is taken with a smartphone and converted into data using a QR decoder application. QR readers can be found in all of the app stores. This provides the smartphone user with additional information, such as different options for a product, where they can be purchased, a link to a company website, etc. Similarly, QR codes can also be placed on advertisements, whether they be in a magazine or newspaper, on a poster, or in a mailing, to encourage a possible patron to learn more. E-mail continues to be a powerful force in generating sales and branding for businesses. Traditionally, email marketers embed hotlinks to customers who are automatically rewarded with a discount or some other benefits by clicking the link. This became pervasive because most consumers were interacting with e-mail on their PC’s. With the rapidly growing smartphone and mobile market technologies, marketers are looking for new ways to bridge the gap between the PC and mobile devices to keep up with this changing consumer behavior. Embedding QR codes that launch interactive mobile experiences within traditional email messages enables marketers to not only add an interactive element to relatively static email content but also create new touch points to communicate with their audience. The process is quite simple, intuitive and seamless. The recipient views the email on his or her PC screen and, intrigued by the call to action to scan the QR code, picks up his or her phone and snaps it, which immediately launches a specific microsite, video, or other interactive content. Not only is the recipient rewarded with this rich and engaging content and perhaps a coupon, but the marketer can now engage the prospect or existing customer to open a line of communication to create another touch-point for ongoing interaction. And the revenue will follow………….